Mark Adelson is an independent consultant, the editor of The Journal of Structured Finance, and the content director at IPR Journals (f/k/a Institutional Investor Journals). He was chief strategy officer of The BondFactor Company LLC from November 2012 to April 2016. Adelson served as S&P's chief credit officer from May 2008 until December 2011 and then held a research position at the company through August 2012. As S&P's chief credit officer he supervised the overhaul of the company's rating criteria in the wake of the financial crisis. He has broad expertise in securitization, with particular emphasis on mortgage-backed securities (MBS) and collateralized debt obligations (CDOs). 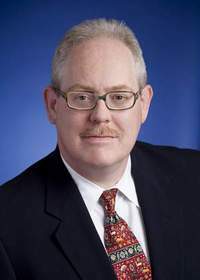 He has authored numerous articles and reports covering a wide range of fixed-income subjects including credit analysis, models and model risk, regulatory and accounting topics, and detailed coverage of the major securitization industry conferences over the past 10 years. Adelson is also a lawyer, admitted to practice in New York.